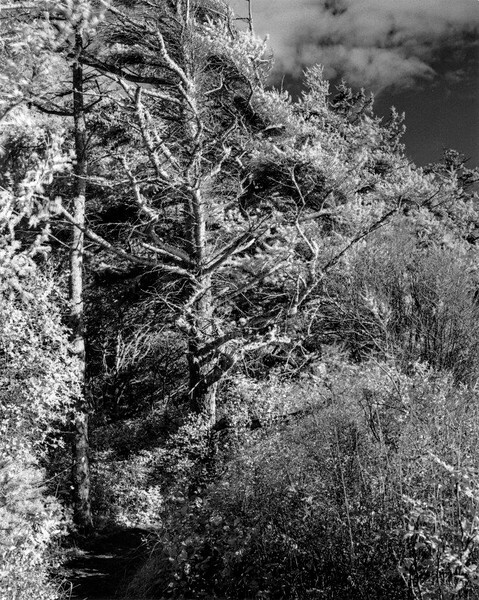 Here I'm trying Rollei infrared film with Rodinal "stand" development. This is toning down the harshness of the i.r. film, while improving organic highlights compared to regular film.